African leafy vegetables refer to a group of plants that are indigenous to Africa and that have been consumed over centuries by people as a source of nutritional food. Local leafy vegetables have long been an important part of people's diet in Africa, nutritious, affordable and adapted to local growing conditions and cultural traditions. But in the latter part of the 20th century, they fell out of fashion. This was mainly the result of changing market trends. But there is a growing interest in the production of these vegetables. Amaranthus Amaranthus dubius or wild spinach to the left and African Spider Flower to the right grown in our backyard on an experimental basis. Both these plants are easy to cultivate and grows previously. African Spider Flower seems to be more drought resistant while Amaranthus seems to be more thirsty. The leaves of this specific Amaranthus species can be eaten raw or cooked while the leaves of the African Spider Flower need to be cooked. Seeds are easily harvested from both these plants and can be kept until the next planting season. 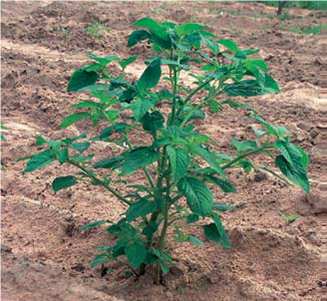 It will be able to cultivate Spider Flower continuously under the right climate conditions while Amaranth is better suited as a seasonal crop. We are planning to introduce these plants into local communities during our 2014 planting season. Other species of Amaranthus includes Amaranthus spinosus or spiny pigweed andAmaranthus hybridus or cockscomb. Although easily controlled and not particularly competitive, it is recognized as a harmful weed amongst North American crops and crops in many other parts of the world. These plants easily grow in disturbed areas and therefore carries the tag of an unwanted weed. Nevertheless, these plants have the potential to supplement the diets of people in many areas of the world where there is a shortage of other vegetables and grains. The plants contain remarkably high amounts of Calcium, Phosphorus, Sodium and Magnesium and smaller amounts of Manganese, Copper, Zink and Iron. A study that was undertaken by The Durban Institute of Technology and the University of Kwazulu-Natal was published in the Journal of Food Composition and Analysis that analyzed the nutritional content of various traditional leafy vegetables. This study has shown remarkable results. You can find a copy of the article "Preliminary assessment of nutritional value of traditional leafy vegetables in KwaZulu-Natal, South Africa" here. These plants hold great promise for supplementing the diets of people in Africa and warrants further study by anyone interested in finding sustainable solutions for food security. "Research and extension in South Africa have been labeling traditional leafy vegetables as weeds since the 1960s when they started encouraging households to produce food seen in the shops. This negative perception has led to an unwillingness to use and conserve these ‘poverty foods’, as many community members have labeled them. The status of these crops needed to be improved to help people realize the importance of these crops in their daily diet. Awareness activities in six communities made use of production training sessions in seven schools and eight community gardens, discussion groups, garden competitions, cooking competitions, recipe collection, awareness days, local resource collection activities, participatory selection and a radio talk. Discussions about use and conservation status of these crops during the data collection phase stimulated discussions on various aspects of these crops and caused an increased awareness about the poor conservation status within the communities, leading to the appointment of keepers of a specific seed. The local resource collection efforts and gene bank actions caused community members to appreciate their natural resources more and emphasized the vulnerability of the crops, and their important role in keeping the biodiversity available for them and for future generations. In an effort to create awareness of the traditional plants at all levels within the community, schools (where possible) and community gardens were targeted during the training and awareness campaigns. The awareness campaigns culminated in a school garden and community garden competition, as well as a cooking competition. The participatory selection was used to expose the community members to new crops and to variations in the crops that they know. Community evaluation of these crops created a better understanding for researchers and community members, leading to improved cooperation. A noticeable increase in demand for seed and training on production methods was the result of the awareness activities within the communities." "The nutritional and cultural importance of African Leafy Vegetables has become very important in South Africa in the past few years. Recent research has also confirmed these issues, leading to the incorporation of African Vegetables into the core business of the ARC. ARC-Roodeplaat wants to improve the distribution and conservation status of African Leafy Vegetables. 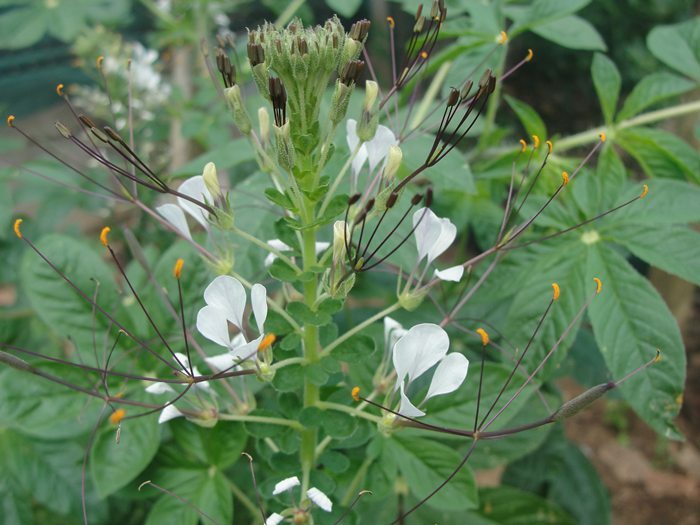 Geographical collection data on Amarant, Cleome gynandra, Corchorus olitorius and Vigna inguiculata was obtained from the National Botanical Institute and the data was analyzed with DIVA and Flora map. Ecogeographical distribution maps were drawn to predict the possible distribution of the species. Germplasm of African Leafy Vegetables was collected during routine visits and the conservation status was discussed with participants in the study areas of Arthurstone in Bushbuckridge, Watershed near Ladysmith and Mars/Glenroy near Polokwane. Germplasm of various species were also collected in collaboration with the Plant Genetic Resource Centre (NPGRC) of the Department of Agriculture in Arthurstone and Watershed. The NPGRC included leafy vegetables in their mandate since this trip. Seed flow diagrams were used to discuss the Watershed community's seed exchange systems. It was clear when discussing African leafy vegetables in communities that their conservation and utilization are declining. Also looking at the trendlines of African Vegetables availability and utilization it is clear that the use and availability of African Leafy vegetables are declining due to various reasons. Two major reasons are the negative image of the African Leafy Vegetables and the increased use of 'exotic' vegetables like spinach and carrots. The active promotion, use, and conservation of African Leafy Vegetables are important if we want to increase the production potential and potential contribution towards food security in South Africa. This will ensure that the status of these crops is enhanced, specifically their contributing towards sustainable nutrition as well as sustainable production. Results from promotion activities in the project (reported in another paper) indicated that the negative image of African Leafy Vegetables could be reversed and also had an effect on the roll-out of the project to other areas of research such as plant protection, nutritional analysis and food safety, crop science and indigenous knowledge systems." In the early 1990s, scientists in Kenya noticed that traditional ALVs were rapidly disappearing from farmers’ fields and people’s tables. Bioversity and its partners in Kenya set out to reverse this trend. Between 1996 and 2004, work was undertaken to collect,characterise and analyse the nutritional values of ALVs before identifying priority species, enhancing genetic material, and improving horticultural practices, marketing and processing of ALVs. Amaranthus seeds can be milled to make a nutritious flour and the leaves can be eaten too. It grows to about 5 feet tall. The white seeds are best for milling for flour. Its seeds are a good source of protein. Compared to other grains, amaranth is unusually rich in the essential amino acid lysine. 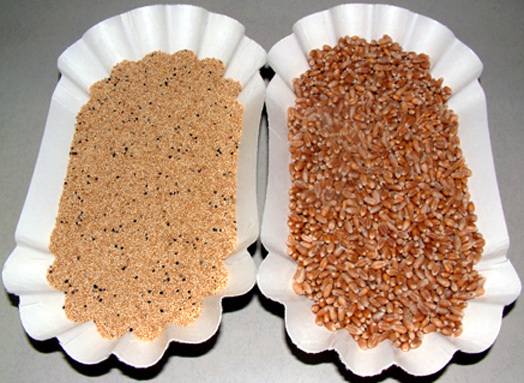 Common grains such as wheat and corn are comparatively rich in amino acids that amaranth lacks; thus, amaranth and other grains can complement each other. The seeds of Amaranthus species contain about thirty percent more protein than cereals like rice, sorghum and rye. In cooked and edible forms, amaranth is competitive with wheat germ and oats - higher in some nutrients, lower in others. It is easy to cook. As befits its weedy life history, amaranth grains grow very rapidly and their large seedheads can weigh up to 1 kilogram and contain a half-million seeds in three species of amaranth.